In U.S. racing, each state has the sole authority to regulate all racing within its borders. There is no central, unifying authority. This has led to state-to-state differences in medication rules, drug testing procedures and penalties for violations. These differences often can be stark. In states without third-party administration of the anti-bleeding medication Salix (furosemide) or credible out-of-competition testing, cheaters can prosper with impunity. Race day drugging can be rampant. Blood doping unchecked. Despite the opportunity for widespread cheating, it would be unfair to apply these activities broadly and equally to the racing programs in every state. Some commissions are proactive and have implemented well-designed deterrents as part of their anti-doping programs. As disturbing as it is, the greatest threat to racing's integrity does not lie in the widespread cheating that occurs in those states that have chosen to turn a blind eye to these corrupting influences. It is the trainers' ability to cheat in even the most conscientiously regulated states that is a greater threat. That's because in these states, where many of the Graded stakes are contested, horsemen still have an opportunity to cheat despite the best efforts of regulators. The main impediment to addressing this issue is the current patchwork system of regulation. The system has failed to provide the protection and tools to the most diligent and proactive racing commissions. Understanding these threats requires a better understanding of the limitations facing drug testing laboratories. Every drug has a unique structure analogous to a fingerprint. To call a positive test, the specific drug must reside in a laboratory's mass spectral library. A drug not in the library cannot be called positive unless a method is developed to test and validate its presence. Each of the 14 laboratories conducting drug testing in the U.S. have access to comparable libraries that contain over 1,400 compounds. Confronted with a drug outside its library, the laboratory may be blind to its existence. Due to its molecular structure, an unknown drug might evade the lab's extraction process and never make it to the instrument for analysis. Even if extracted, it is possible to completely evade the notice of laboratory personnel. 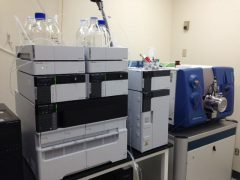 Although labs are continually adding drugs to their libraries, cheaters using unique or newly created drugs pose significant challenges. To catch one of these cheaters, a laboratory must first know what drug is being administered. This is no small feat considering the conspiratorial nature of the act of doping and the code of silence that permeates the racetrack. The lab must then obtain a sample of the drug. This may be another high hurdle due to the exacting protocols imposed on the laboratory. Unlike a cheater who may be handed a loaded syringe by his local veterinarian, the laboratory is obligated to secure a certificate of analysis with its drug sample. Sometimes, procuring the drug sample is the most challenging aspect of detecting a new drug. Once the drug is obtained, a method to detect and validate it must be developed. The development of detection methods for some drugs can be extremely difficult. For example, after human drug testing research made detecting EPO possible in human athletes, over six years passed before this drug was detectable in horses. The result of Hartmann's efforts were dozens of positive dermorphin findings in four states. That the bloodstream of a racehorse as it crosses the finish line could contain the psycho-active secretion of a South American tree frog underscores the lengths some will go to cheat. Where does a veterinarian or horseman go to find performance-enhancing drugs? The cat-and-mouse relationship between laboratories and cheaters has always existed. Despite the advances in technologies that have aided laboratories over the past few decades, the mouse has far outpaced the cat. What has not changed in the racing industry is the relationship between state racing commissions and testing laboratories. Most commissions, due to their nature of being agencies of state government, must focus on efficiency and not excellence. Cost is the primary factor. All too often, contracts are awarded to the lowest bidder – regardless of the caliber of services to be provided. This approach not only affects the lab's capabilities of detecting the drugs in its library, but it stifles the type of research needed to keep pace with new and exotic drugs. “The system is not set up for us to do top-level work (research) on a day-to-day basis,” said Hartmann. Many regulators have become overly reliant on testing laboratories and have sidestepped their own responsibilities to protect the integrity of the sport. 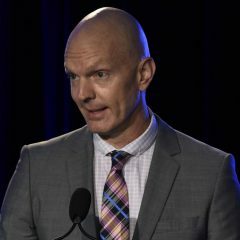 Novitzky's record – his investigations led to the downfall from doping of some of the biggest names in track & field, cycling and professional sports – is proof for the need of a strong investigative component in racing. Of the nearly 200 successful prosecutions of cheating throughout his career, Novitzky said, “We would not have identified at least 95 percent of those without the investigative resources we had.” In other words, less than five percent of his cases involved a positive test. In most all of the 200 cases, Novitzky worked closely with the United States Anti-Doping Agency (USADA). In USADA's world of human athletics, the term “adverse analytical finding” is what is called a “positive test” in the horse racing industry. Another term used in human athletics is “non-analytical finding.” It means a violation derived from evidence-based intelligence: an investigation. Evidence varies from case to case, but the standard elements include developed sources, witnesses, records, surveillance and physical evidence. Per reports of anti-doping sanctions in 2016 on the USADA website, almost 25 percent (10 of 42) of the most serious violations (which involve a suspension of a year or more) were for violations other than a positive test. Examples include: (1) three athletes in the sport of track & field who were suspended for four years after the results of investigations concluded they used and possessed prohibited growth hormones; (2) a cyclist and a weightlifter who were suspended for four years for refusing the provide a urine sample to doping control officers; and (3) a multiple offending cyclist who received a lifetime ban for being involved in running a website through which he marketed and distributed prohibited and illegal substances to fellow athletes. State racing commissions occasionally have similar such sanctions. In 2016, the Kentucky Horse Racing Commission revoked the license of Otabek Umarov for 10 years after he refused out-of-competition sampling on a gelding named Looks to Spare. A $5,000 claim at Hawthorne in April 2015, Umarov stepped the gelding up to win the $200,000 West Virginia Governor's Stakes at odds of 74-1. Looks to Spare later finished third in the Grade I Clark Handicap at the 2015 Churchill Downs fall meet. In 2015, the Indiana Horse Racing Commission suspended the license of veterinarian Ross Russell for nine years. The case involved no positive test. Rather, it was the result of a commission investigation that found (and Dr. Russell acknowledged) several rule violations including providing injectables to a trainer, unauthorized race day administration, numerous record keeping violations, and failure to cooperate with an investigation. When these stories broke, the reporting focused on the seriousness of the infractions and the severity of the sanctions. More noteworthy, however, is how infrequent these types of cases are pursued at all. The responsibility to deter and detect such violations lies with state racing commissions. Most states have security personnel or investigators to carry out this duty. Most of these individuals are competent and dedicated. They work in a system, however, that does not support the aggressive pursuit of cheaters. Financial resources are an issue. 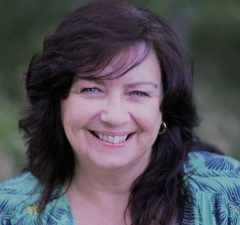 More debilitating is a general mindset among many industry stakeholders that the bad publicity that inevitably accompanies the exposure of cheating should be avoided, if possible. Add to the mix state racing commissions that lack independence and the result is often a “hear no evil, see no evil, speak no evil” approach to cheating. Simply stated, few within the racing industry have the will or incentive to shine a spotlight into the darker corners of the sport. Pending federal legislation that would authorize USADA to manage all aspects of horse racing's drug and medication program includes investigating violations of all anti-doping regulations. USADA's approach to regulation is highly principled and integrity based. Its independence assures an even-handed, show-no-favorites application to investigations and sanctions. An ideal approach, at least for the most important investigations, would be for USADA to utilize its expertise and time-tested strategies and combine them with the hard-to-gain knowledge of a state commission's boots-on-the-ground investigators. In this scenario, vigorous pursuit of cheaters would become the norm – not the exception. Over time, as trust levels increase, people would reassess their behavior. This reassessment, or soul searching, would manifest itself in three ways. First, people would be more willing to step forward to share information about known or suspected rule violations. Second, for those most inclined to cheat, the dynamics of the decision-making process will have been altered. The greater the likelihood of being caught means greater risk. This would lead to fewer people attempting to cheat. Last, and most important, is the effect on those who are not inclined to break rules but have done so because they believed it was necessary to level the playing field. As the playing field levels, this justification disappears. Collectively, the impact of these behavioral changes on the culture of cheating would be profound. It has been the weaknesses in the current patchwork system of regulation that has led to the introduction of federal legislation mandating a national anti-doping program under the auspices of USADA. In response, the Association of Racing Commissioners International, along with some industry stakeholder groups, have tried to find a reform mechanism without federal legislation. Compacts between states, which would require legislation on a state-by-state basis, is an alternative favored by some in the industry. The crux of the situation is straightforward: A federal bill is the only route to mandate compliance. A series of state compacts, without federal legislation, cannot mandate compliance because there would be no consequence for noncompliance. In other words, it would be another program with no teeth. The term “past performance record” has resided in the lexicon of horseplayers for over a century. Horse racing owns the term. It is the study of these records that has fueled the growth of the sport. Past performance records can be applied to more than just horses. Companies, associations and people also have such records. Past performance is predictive of future results. The current regulatory structure has brought us the status quo. On the other hand, USADA is world renowned for promoting clean athletic competition. Independent and fair, but tough, USADA has a record of establishing a sound regulatory infrastructure and is dedicated to pursuing individuals involved in corrupt practices. Who are you going to bet on? Joe Gorajec served as executive director of the Indiana Horse Racing Commission for 25 years (1990-2015). He is also a former chairman of the Association of Racing Commissioners International (2008). This entry was posted in NL Article, Ray's Paddock and tagged ARCI, association of racing commissioners international, dermorphin, drugs in racing, epo, Frog Juice, industrial laboratories, jeff novitzky, Lance Armstrong, petra hartmann, UFC, Ultimate Fighting Championship, united states anti-doping agency, usada by Joe Gorajec. Bookmark the permalink.